Currently-available sensors used in weather stations are not suitable for the TAHMO project. They are either too expensive, susceptible to failure in African environments (insects, dust, etc. ), or they don’t measure the variables we desire. The objective of the TAHMO Sensor Design Competition is to design sensors that measure a weather or hydrological variable and are both inexpensive and robust. The TAHMO project is interested in measuring weather in new ways. These new sensing methods should be resilient, require little to no maintenance, and be cost effective. One option is to measure traditional weather parameters like air temperature, relative humidity, or solar radiation, but in new ways, and another would be to measure non-traditional weather parameters like lightning or dust. For this competition, the focus lies on the sensors themselves and not on data communication. The central idea is to come up with new concepts. We encourage you to be as innovative as possible in your design. Please don’t feel limited by your access to materials, as the selected design teams from Round I will receive a package with all necessary hardware and materials in order to actually build their sensors. The TAHMO Sensor Design Competition is the first step towards building a TAHMO community. For TAHMO to be successful, local knowledge and expertise are absolutely essential. As the project is in the initial phase, many facets must still be addressed before we can actually start designing and building the weather station network. We therefore encourage everyone that is interested in TAHMO to join our community and join discussions on TAHMO-related topics. Our community is on Facebook and LinkedIn. All support is welcome. Together we can make TAHMO work! The TAHMO Sensor Design Competition has a two-round entry process. Round I: Submissions need only include a description of the sensor. From these preliminary submissions, a maximum of 20 projects will be selected by the Jury to proceed to Round II of the competition. Round II: The selected teams from Round I will receive a ‘Maker’s Package’ consisting of all hardware and materials required to construct a prototype of the sensor they designed in Round I. The Jury will evaluate all prototypes and invite a maximum of 10 teams to Nairobi for a multiple-day workshop to test, tinker, and integrate the ideas. – Round I is closed. The deadline for submission was Thursday, 14 March 2013. The entries of the selected teams from Round I can be found here. – Round II is closed; the deadline was 30 June 2013. – The final workshop in Nairobi with the selected teams will take place from Monday, 29 July to Friday, 2 August 2013 at iHub in Nairobi. # The sensor must be able to measure a weather or hydrological variable. Be creative in your design, both in terms of parameters to observe and in ways of measuring them. We are looking for a sensor that measures either a standard parameter such as temperature and wind, or a less standard parameter such as dust or lightning. For this competition, the focus lies on the sensors themselves and not on data communication. The central idea is to come up with new concepts. # The starting point is not so important as the outcome. You may want to build a sensor from scratch because that leads to a more robust and cost efficient way of measuring a parameter. Alternatively, you may want to take an existing IC/method and use it to measure something new or more accurately. An example of the first approach may be to measure the variance in humidity over time at high rates to estimate evaporation. An example example of the second approach would be to measure windspeed with a gasflow sensor used in cars. Of course we hope you will not copy these examples but work out your own. # The sensor must be inexpensive to produce; i.e. less than $25 per piece when producing 20,000 pieces. # The sensor must be robust; this means avoiding the use of movable parts as much as possible. Avoid any cavities in your design, as insects might use them as hide outs. # The sensor requires zero maintenance for two years. – On the first page of the entry, the first and last name(s) of the participant(s) are clearly stated. When you are participating as a team, please include the names of all members. – An entry can be submitted only after registration. Registration is possible until 1 March 2013. The selected teams of Round I received a Maker’s Package consisting of all hardware and materials needed to fabricate a prototype of their designed sensors. The selected teams of Round II will be invited to Nairobi for a multiple day workshop to test, tinker, and integrate the ideas for a suitable sensor in the TAHMO project. All expenses related to transport, accommodation, and catering will be paid for by Delft University of Technology. People from any country are eligible, but we especially encourage African participants to join. The TAHMO project is particularly interested in local experience and knowledge. We strongly encourage the formation of competition teams, but please be aware that for those teams making it to the final stage of the competition, only two members per team will be invited to Nairobi. There is no limit on the number of entries a participant may submit, but each entry must meet every contest requirement. 1.1 The TAHMO Sensor Design Competition is an initiative from Delft University of Technology. The objective of the competition is to develop a sensor suitable for weather stations in Africa. 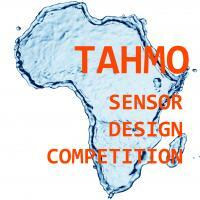 1.2 By participating to the competition, entrants accept the regulations of the TAHMO Sensor Design Competition. 1.3 Delft University of Technology has the right to change the regulations at any time. 2.1 The TAHMO Sensor Design Competition is open to all who are interested, irrespective of nationality, education, profession, or age. 2.2 Entries can be either submitted as an individual or as a team. There is no limit to the number of members per team. 2.3 There is no limit to the number of entries for each participant or team of participants. 2.4 The design should be the entrant’s own original work, which is the entrant’s own responsibility and concern. The design should not infringe upon intellectual or industrial property rights of other parties. In case of infringement, Delft University of Technology has the right to disqualify the entrant. 3.1 The TAHMO Sensor Design Competition consists of the following prizes: a maximum of 20 entries from Round I will go through to Round II, and the associated entrants will be sent a ‘Maker’s Package’, a kit consisting of all hardware and materials required to fabricate a prototype of the design. This Maker’s Package is a gift from Delft University of Technology. A maximum of 10 entries from Round II will be selected, and the associated entrants will be invited to Nairobi, Kenya to join a multiple day workshop to test, tinker, and integrate their ideas for a suitable sensor in the TAHMO project. N.B. When an entry is submitted by a team, a maximum of two team members will be invited to the workshop. 4.1 In order to submit an entry for Round I, entrants are required to register. 4.2 Registration and submission are two separate procedures. Only after registering is a participant allowed to submit an entry for Round I. Submission can be done by sending the entry to competition@tahmo.org. Only entries containing the first and last name(s) of the participant(s) will be considered. 4.3 Only entries with a completed registration form will be considered. 4.4 The registration and submission deadline is Friday, 1 March 2013, 24:00 GMT. All registrations and entries received after this date and time will not be considered. 4.5 Entrants will be sent a confirmation email when their registration is received by Delft University of Technology. 4.6 Entrants will be sent a confirmation email when their entry is received by Delft University of Technology. 4.7 Apart from clauses 2.4, 4.2 and 4.3, all designs shall be judged on the design requirements described here, the entry requirements described here, the design innovation and its applicability. When requirements are not met, Delft University of Technology has the right to disqualify the entry. 4.8 The winning entrants of Round I will be contacted before the end of March 2013. These entrants will also be informed about the details and conditions of Round II. 5.1 Entrants own the Intellectual Property rights to the original work they submit, but Delft University of Technology maintains a royalty-free, worldwide, perpetual right to use, copy, modify, translate and/or adopt and distribute (parts of) the submission. 5.2 Delft University of Technology maintains the right to decide whether or not use the submission. Participating in or winning the TAHMO Sensor Design Competition does not guarantee the submitted design will eventually be used. The competition is now closed for participation. If you have any questions, comments or suggestions, please contact us at: competition@tahmo.org. You can also find us on Facebook and LinkedIn.